Casa Kathryn Villa Playa Blanca, with Sea Mountain Views, Heated Private Pool & WIFI. This unique house with free wifi benefits from an elevated position with sea and mountain views from the first floor and upper terrace, whereas the private pool offers some seclusion with mountain views. The pool has a chlorine generator installed which means the water is much kinder on the skin and eyes than a standard pool. Being just a stone’s throw from the seafront, this fantastic location between the golden sands of Papagayo and Marina Rubicon’s restaurants and bars offers you the best of both worlds. Free Wifi and tablet to access the internet. Two large settees and coffee table etc. Flat screen TV with Amazon firestick to watch UK TV, movies etc, SKY receiver & DVD player. Spanish TV with language button. Bluetooth Music speaker. Music Hifi. Oven, hob, fridge freezer, dishwasher, microwave, electric kettle, toaster and all necessary pots, pans and utensils. Breakfast bar with two stools, indoor dining table and six chairs, (high chair available FOC). Door to sun terrace with sea views. Ceiling fan, bedside drawers, two wardrobes. Ceiling fan, bedside drawers, wardrobes. Bath, shower, wash basin, toilet. The pool has a chlorine generator installed which means the water is much kinder on the skin and eyes than a standard pool. The pool is electrically heated and there is no additional charge. Four sun beds, Free standing barbecue. Large garden with local plants & flowers. Villa in Playa Blanca, Lanzarote, Canary Islands 2 minute walk to the Seafront. Situated in the quiet resort of San Marcial del Rubicon, Casa Kathryn is a beautiful villa. It is furnished to the highest standard with everything you could possibly need for the ‘home from home’ experience. Private pool and terraced sunbathing area with upstairs verandas offering chill out seating and bathing area with stunning views of the mountain range and across to the ocean, perfect for sun worshippers! The villa is a 2 minute walk to the nearest supermarkets, including Overseas Supermarket for Waitrose and Iceland UK products, and local Spanish bar. Easily located on the road from Playa Blanca to Las Coloradas, 100 meters from the local bus stop. A walk of 10/15 minutes will take you to the very pretty Marina Rubicon with its luxury yachts where you will find a great selection of bars, restaurants. Stunning views of the sea and mountains. Private pool and sunbathing. Close to local buses. A short walk or drive to Papagayo nature reserve with its white sandy beaches and crystal clear waters. Half an hour walk or 5 minute taxi to the center of Playa Blanca’s shopping, bars, restaurants and nightlife. Cleaning / Towels / Linen / Maid service: Towels, sunbed towels and bed linen are included and are changed every 7 days on booking of 10 nights or more. The villa is highly recommend to everyone whether you’re a family or couples. Book here to get the lowest price. 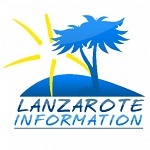 Quote promotional code LanzInfo5 to receive 5% discount off these prices. Our standard rate is £98 per day, £686.00 for 7 nights. High season rate £110 per day, £770.00 for 7 nights. Rates are based on 4 guests; (minimum 7 days except where indicated), additional guests £9 per night (max 6 guests). Any day for arrival and departure. Check in 15:00pm onwards and check out by 10:00am. If we have a gap in our bookings we let you know if an early check in or late check out is available. A deposit of £150 per week is required to reserve your booking. Your deposit of £150 converts to a refundable security/damage deposit. Balance due two months before arrival.